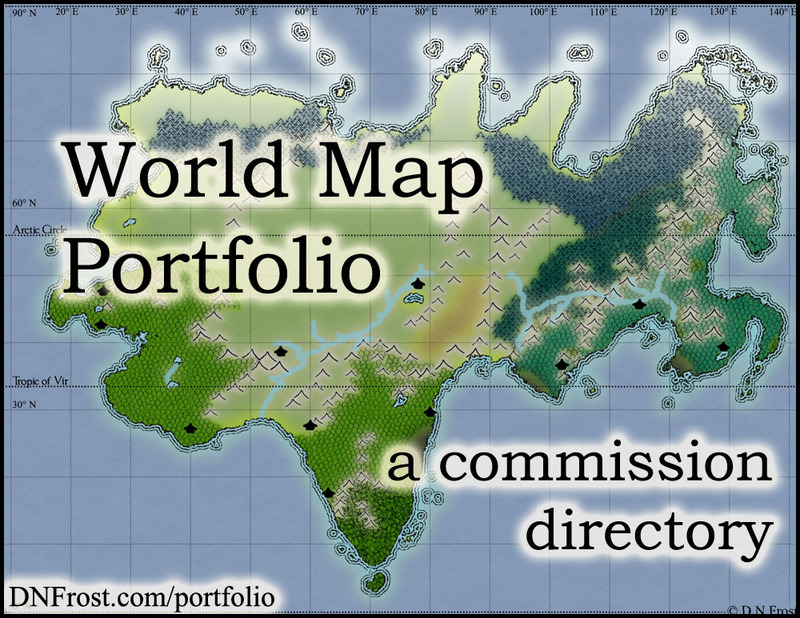 The best and latest map commissions are gathered in this resource guide for you to explore. This realistic early-modern realm was invented by eco-fiction author Dr. Annis Pratt. We finished her map in October 2016. The map displays a diverse peninsula of cultivated land and wild marshes. This earth-like planet was invented by science-fiction writer Stephen Everett. We finished his map in July 2016. The map depicts much of the southern hemisphere as a 2D overworld projection. This earth-like map was for science-fiction writer Stephen Everett. We finished his map in June 2015 and updated it in July 2016. The map depicts much of the northern hemisphere as a 2D overworld projection. This earth-like map was for science-fiction writer Stephen Everett. We finished his map in January 2015 and updated it in July 2016. 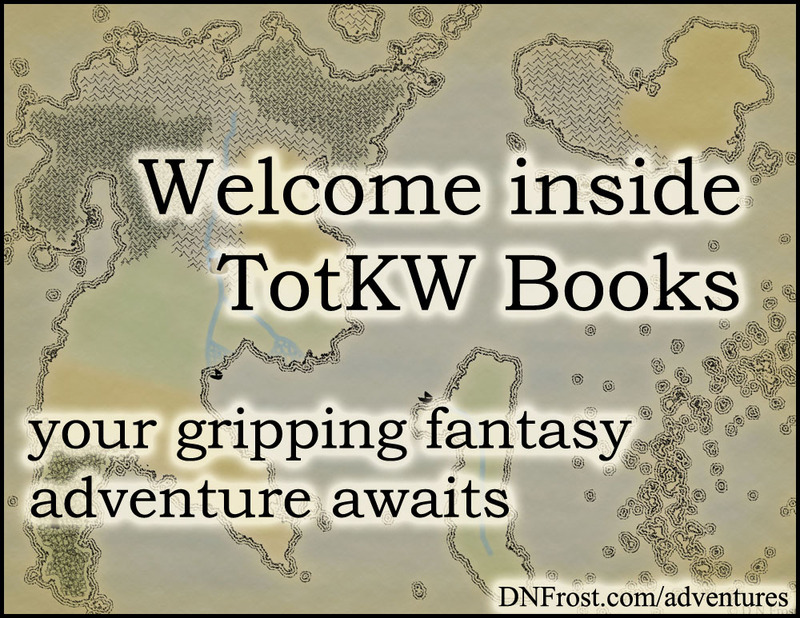 This fantasy realm was invented by writer David Glenn, who drew inspiration from his British heritage. We finished his map in June 2016. 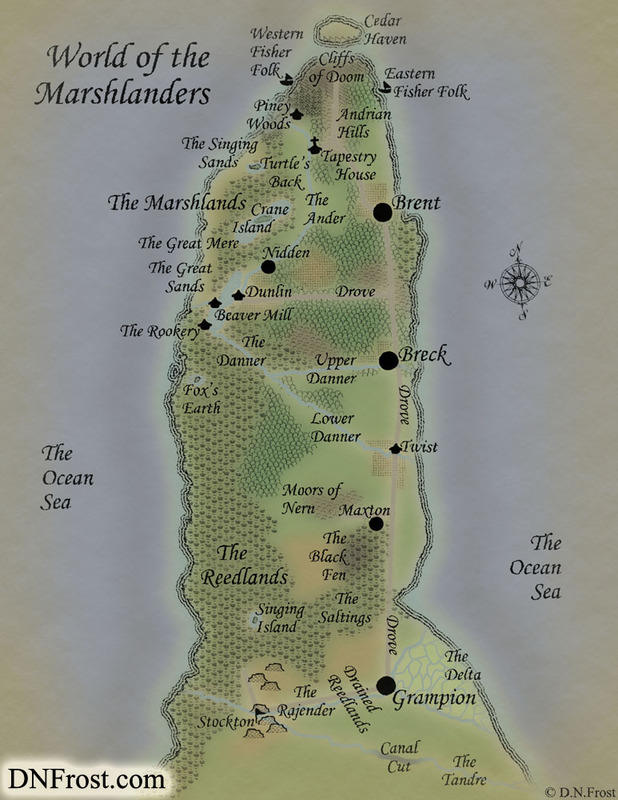 The map displays the four nations that form the northern isles of Sordow. The Once and Future Nerd is a fantasy podcast written by Zach Glass and Christian Madera. We finished their map in May 2016. 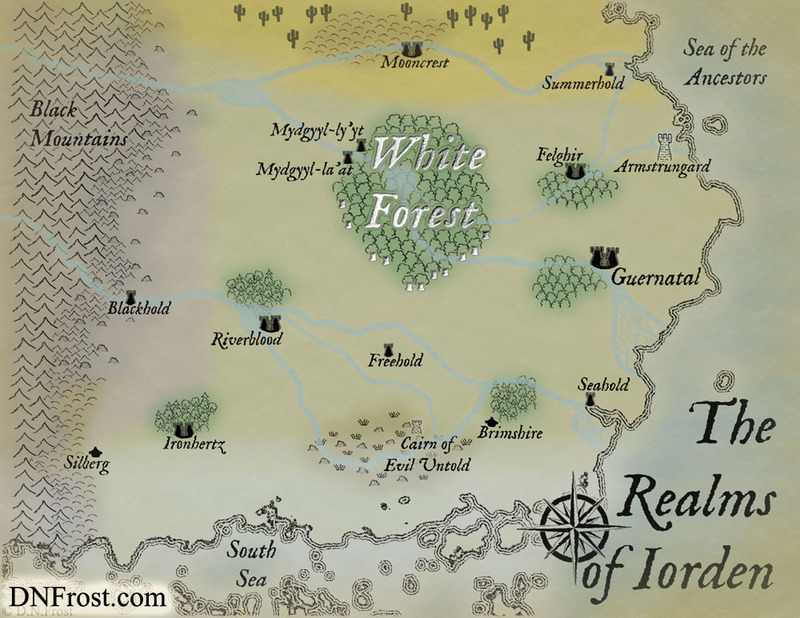 The map depicts the shimmering White Forest and surrounding human realms. 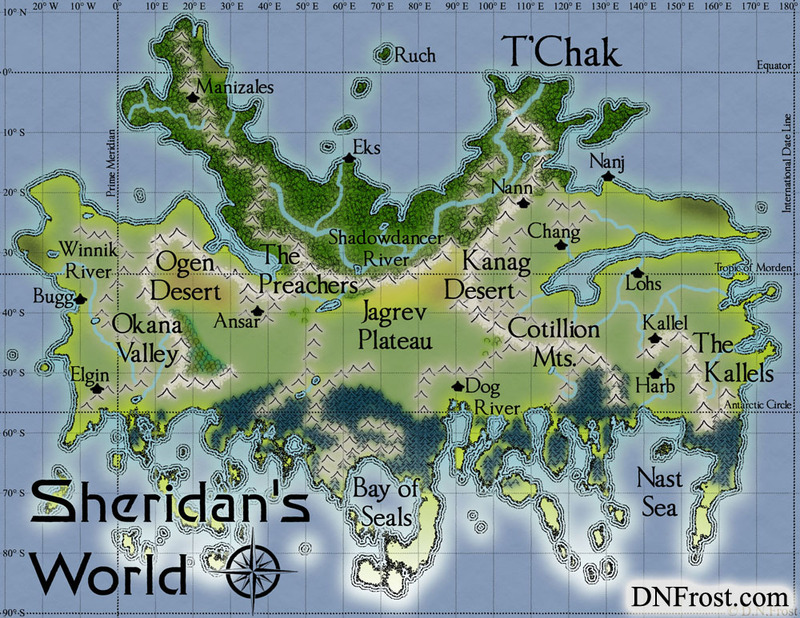 This earth-like world was imagined by fantasy worldbuilder and author Jeffery W Ingram. We finished his maps in April 2016. The map shows a diverse land of many climates and detailed topography. 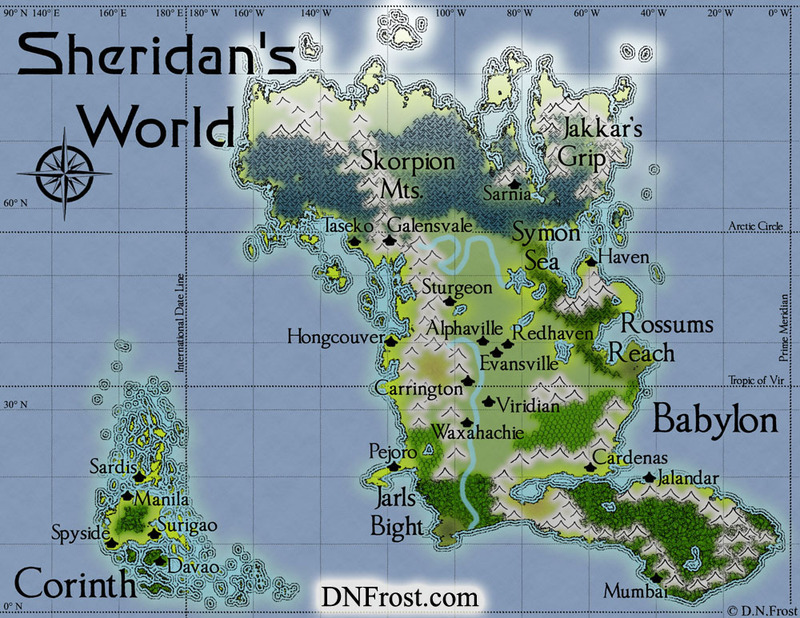 This poster-sized map shows even more of Jeffery W Ingram's earth-like world of Gardul. We finished his maps in April 2016. 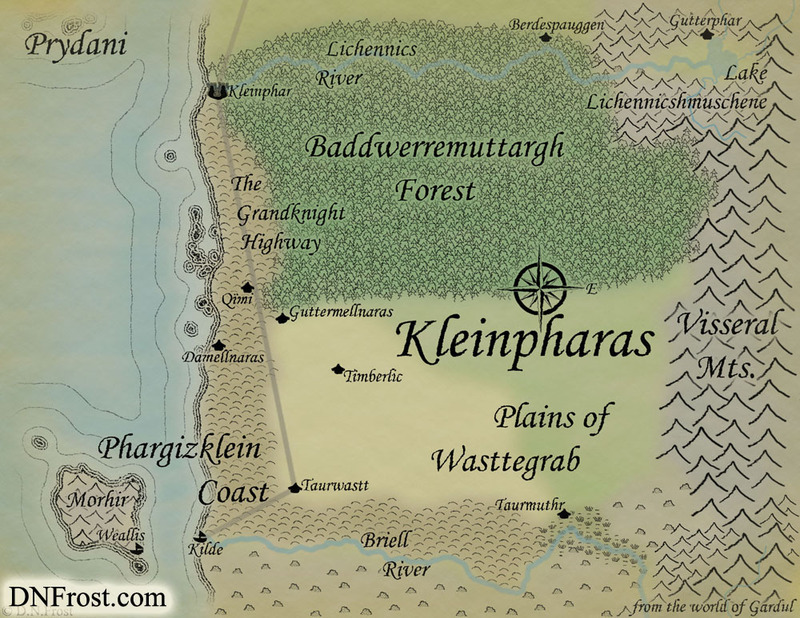 The map displays the nuanced topography in the lands beyond Kleinpharas. Claudia writes about her grandfather's journalism in the crime-fueled mayhem of Prohibition-era Detroit. We finished her map in August 2015. 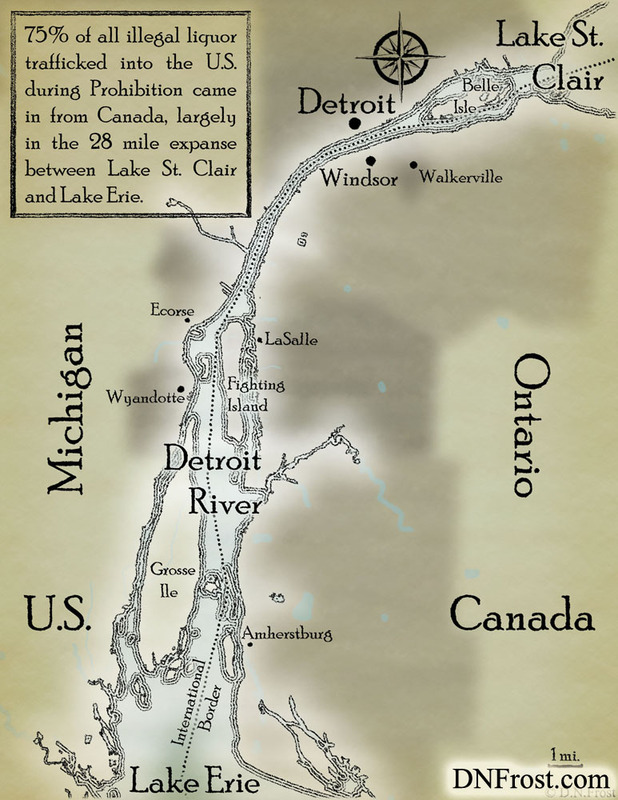 This map shows the contours of the frozen Detroit River and the major cities along its banks. 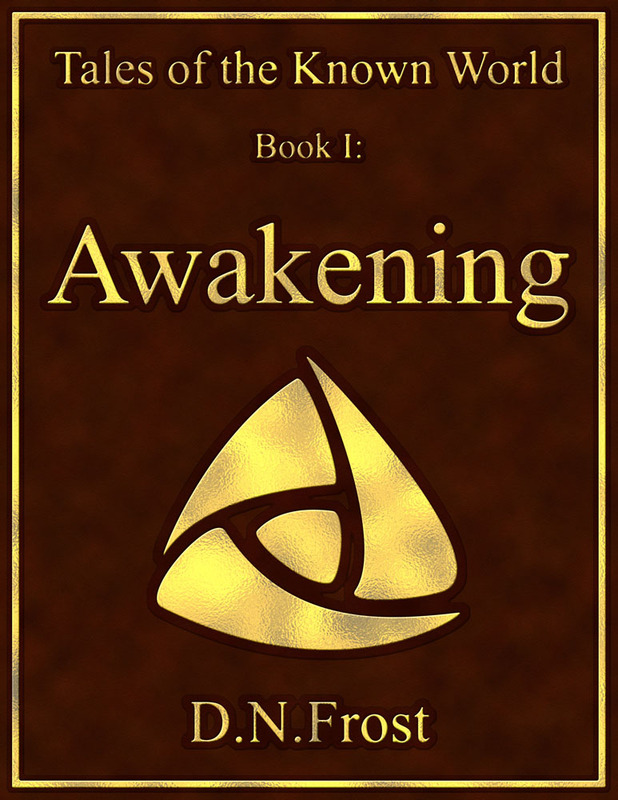 The world of the ancient Celts comes to life in the historical fantasy of Linnea Tanner. We finished her map in July 2015. 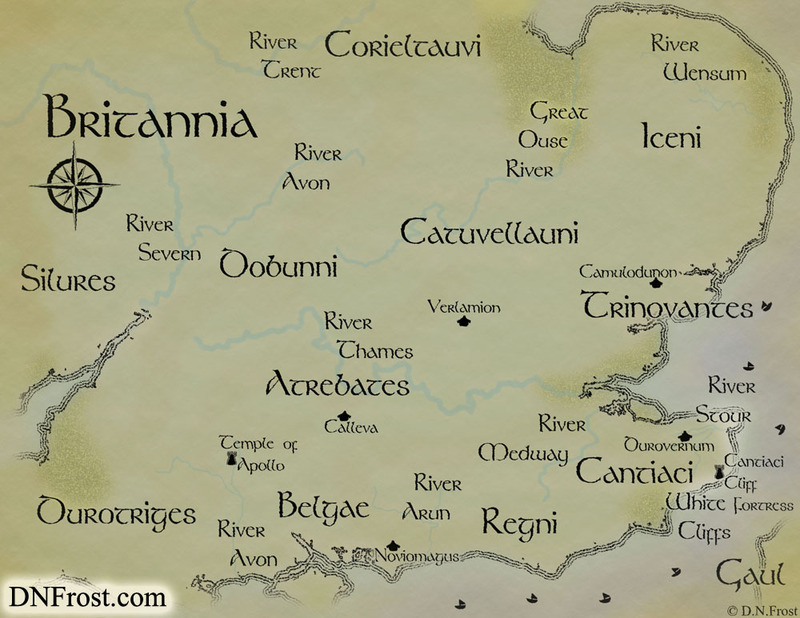 The map depicts southern England and the Celtic tribes resisting Roman conquest. This larger overview of England was for historical fantasy author Linnea Tanner. We finished her map in July 2015. 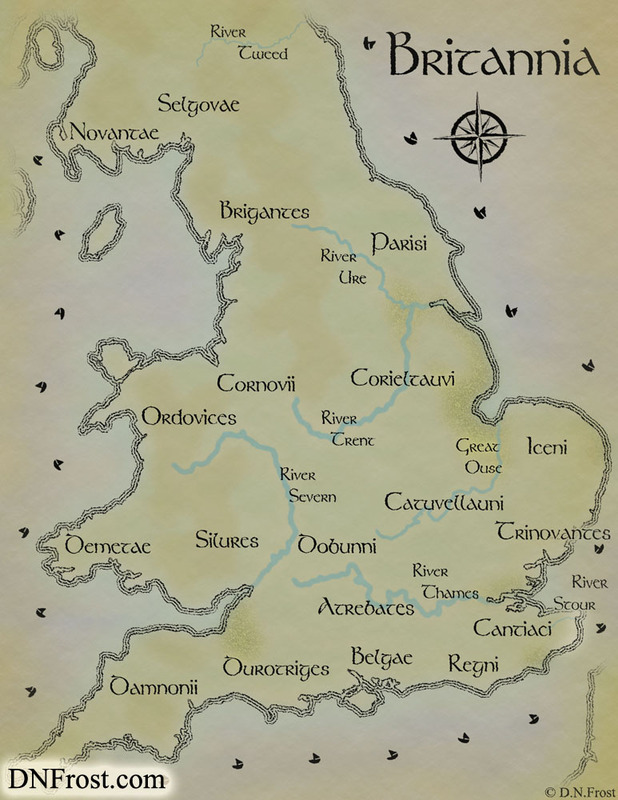 The map shows the highlands, rivers, and Celtic tribes of ancient England. This earth-like world was imagined by fantasy storyteller and weaver Monica Spath. We finished her map in July 2015. The map depicts idyllic countryside and the forest that provides lumber for airships. 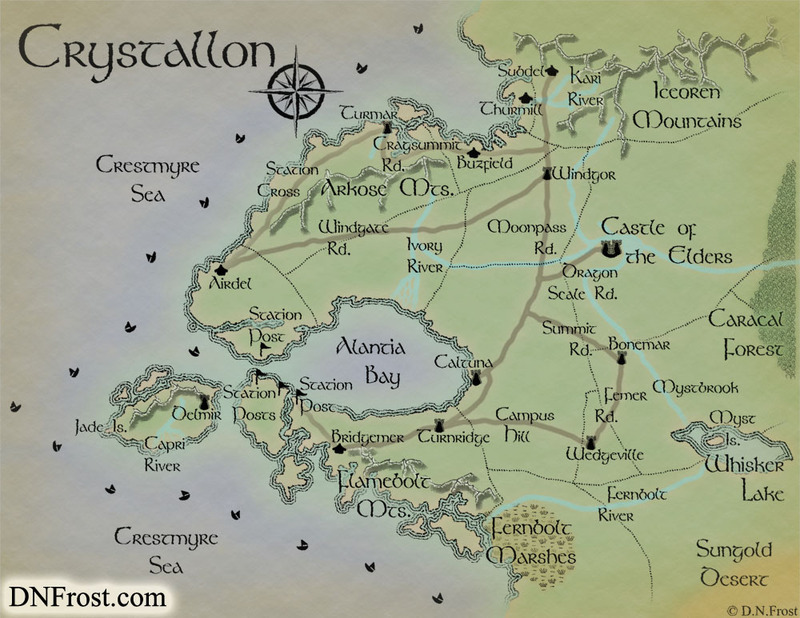 This earth-like world was imagined by fantasy writer and equestrian Morgyn Star. We finished her map in June 2015. 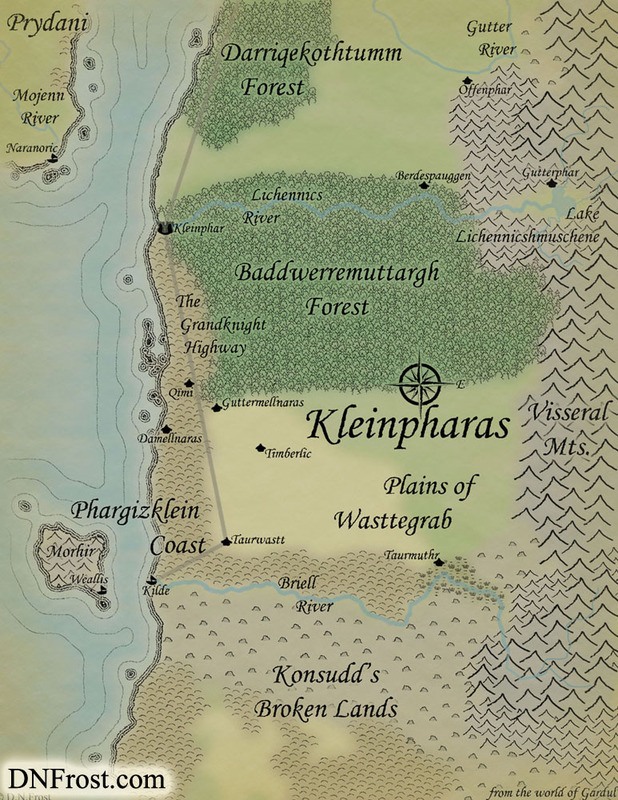 The map depicts the grassy realm of A'tal, bordered by the red sands of Daharsha. 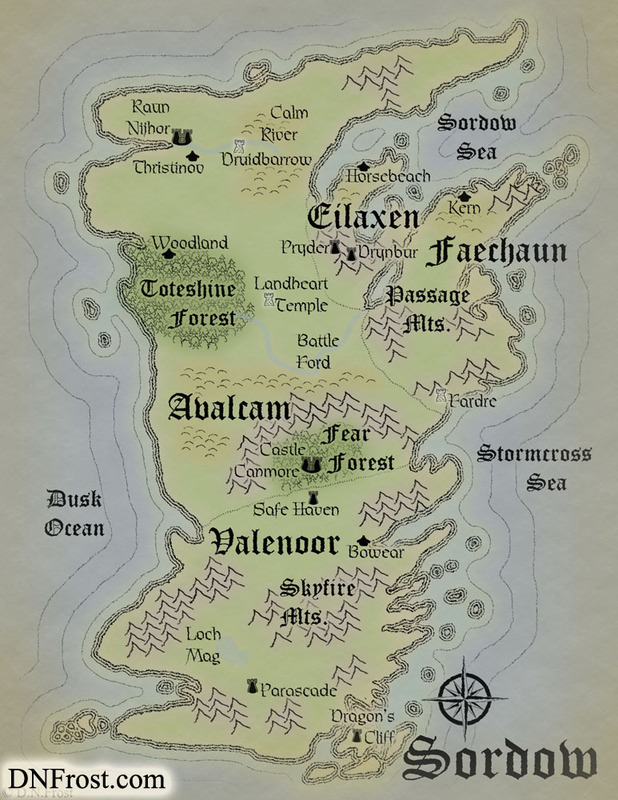 This is a section map for my upcoming novel, Broken. I've included it as an example of my antiqued nautical cartography. The map depicts ocean depths, coral reefs, and ocean currents in a decorative style. 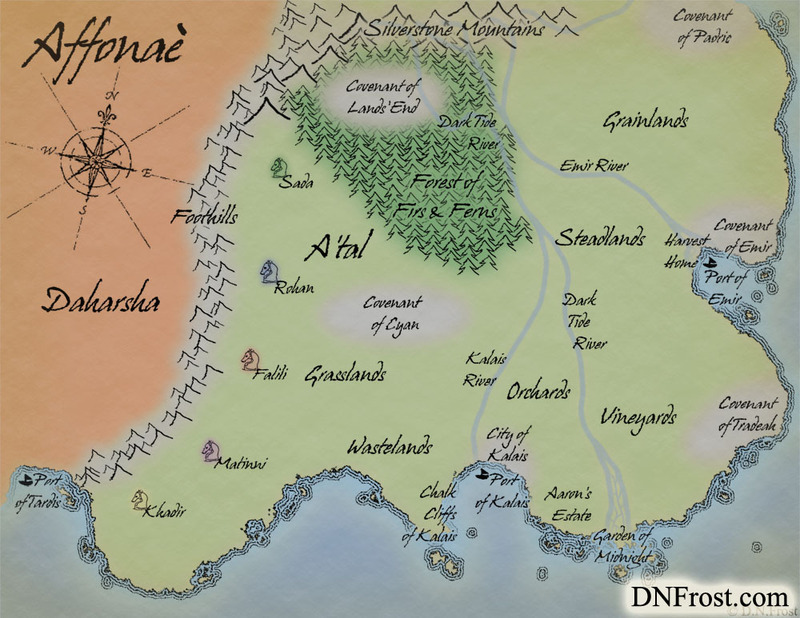 This is the main map for my own novel, Awakening. 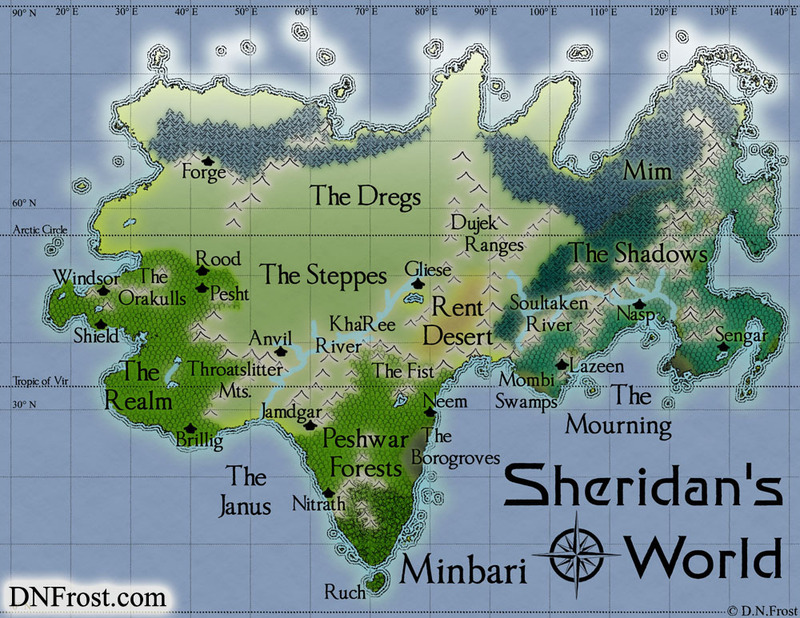 I've included it as an example of my fantasy cartography. The map depicts continents and islands as a decorative antique watercolor.